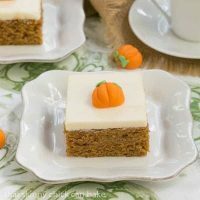 Pumpkin Bars with Cream Cheese Frosting are a dessert that will have folks lining up for the recipe! These are the BEST pumpkin bars you’ll ever encounter! When autumn rolls around, these seasonal bars are always on my baking list. The lovely spiced bars with a thick, dreamy layer of frosting are the perfect treat for pumpkin lovers. I’ve made these moist, fall-spiced pumpkin bars for numerous occasions. 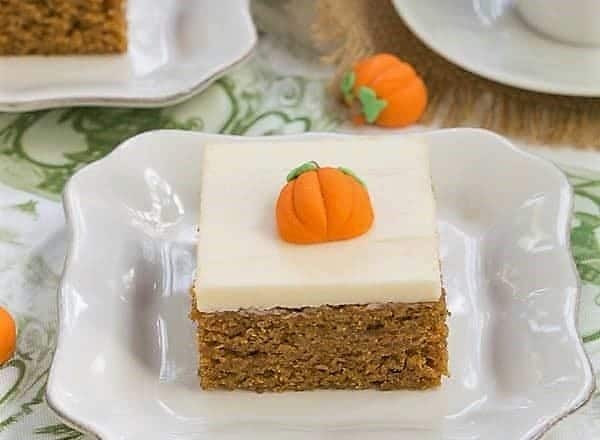 Nicknamed “Killer Pumpkin Bars” by some of my online foodie friends, you will agree there are the best pumpkin bars once you taste your first bite. My kids adore pumpkin bread (don’t ask about the hubby as he only eats his pumpkin in pie), so it was no stretch to surmise that these Pumpkin Bars with Cream Cheese Frosting would be a home run. And adding a nice layer of cream cheese frosting never hurt any dessert, at least in my book. When autumn rolls around, I turn to all things apple and pumpkin. These easy pumpkin bars always make the yearly cut. This Pumpkin Roll is also a family favorite. A loaf of Pumpkin Zucchini Bread is ideal for the seasonal transition and this marvelous Pumpkin Crumb Cake can be eaten for breakfast AND for dessert! Plus I’m loving the look of these Pumpkin Crinkle Cookies. I’d love to keep a batch in my freezer for those emergency cravings. And for lighter fare, try these Healthy Pumpkin Muffins. My friends have told me they ARE the best pumpkin bars in the world. My family loves them and so will yours!! Here are a few tips for making these bars. Use a can of pumpkin puree not pumpkin pie mix. The latter has sugar and spices added and you want plain pumpkin. You’ll be adding your own spices. Read the label carefully. These bars are baked in a 10 x 15-inch jellyroll pan which is not the same as a 9 x 13-inch cake pan. Check the affiliate link below to see details. I use an offset spatula to smooth out the batter, then later to smooth out the frosting. It’s one of my most used kitchen tools! These easy Pumpkin Bars with Cream Cheese Frosting are more of a cake-like consistency than a cookie bar, so check for doneness like you would a cake. Insert a toothpick into the middle of the bars to check to see if they’re done. If it comes out clean, your cake is done. If there is batter on the toothpick, more baking time is needed. Check more than one spot to ensure the center is fully baked. Alternatively, you can tap your index finger lightly on the surface of the cake. If it leaves an indentation, the bake isn’t done. If the cake springs back, it can come out of the oven. Cake-like pumpkin bars topped with a decadent cream cheese frosting! Preheat oven to 350º. Lightly grease a 15 x 10 inch (jelly roll) pan. Stir flour, baking soda, spices and salt together and set aside. Cream butter and sugar until light and fluffy. Add pumpkin and eggs; beat till smooth. Add dry ingredients and mix till well combined. Spread mixture evenly in prepared pan. Bake for 25 minutes or till cake springs back when lightly touched in the middle or toothpick comes out clean when inserted in the middle. Cool completely and frost. Garnish with candy pumpkins if desired. To make icing: beat all ingredients together till smooth. You can make a half batch in an 8 x 8-inch pan, but start checking for doneness at the 20-minute mark. *P.S. I found the cute little Wilton pumpkins made of royal icing at Target. ohhh.. your pumpkin bars look delicious! I love how you decorated them! Pumpkin week! How fun! I love your pumpkin bars with the cream cheese frosting. Perfect combination and with the cute candy pumpkin on top… surely irresistible!!! 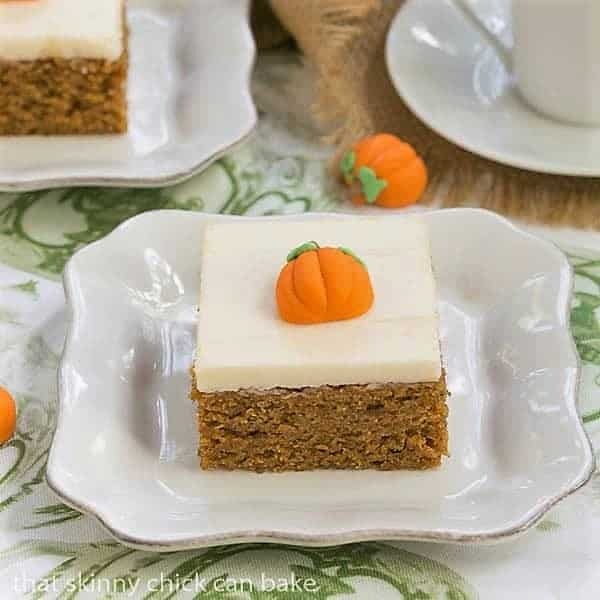 These pumpkin bars look so cute and moist.. yummy! Liz!!! I love these pumpkin bars!! Darn it, how did I miss pumpkin week?!!! will visit all the fabulous links above!! love this! Oh heavens! These bars!!! WOW!!! 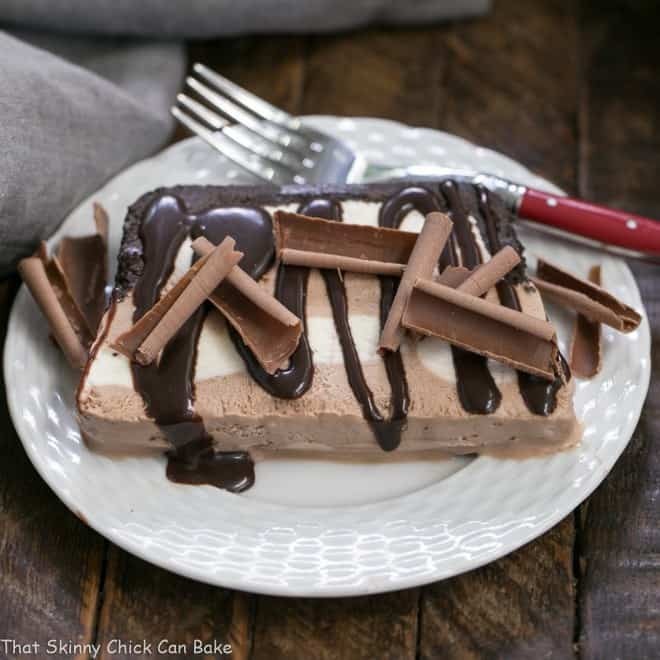 I was reading your post and wondering why I had started drooling – and now I know – THESE bars!!!! WOW!!! Those are gorgeous!! They look SO delicious! Yumm! Cream cheese frosting makes everything better, even my fingers 😉 these look fantastic! These bars look fabulous, and I bet they taste as good as they look. I love the little pumpkin decorations too! I found some cute ones at Walmart that I will be using soon. Thanks for joining this week. Can’t wait to see your other recipes! Those little pumpkins you found are adorable and your bars sound luscious. you really can’t go wrong with pumpkin and cream cheese! I’d love to try these out this pumpkin season… and throughout the year! Your pumpkin bars look killer! Adorable!! I was wondering where you got the mini pumpkin decorations. Thanks for including that. Always love your recipes, Liz. Thanks for sharing with #PumpkinWeek. Oh wow loving these pumpkin bars, I am sure they carry their killer name well (perfect for halloween too). Looking forward to the other pumpkin recipes. 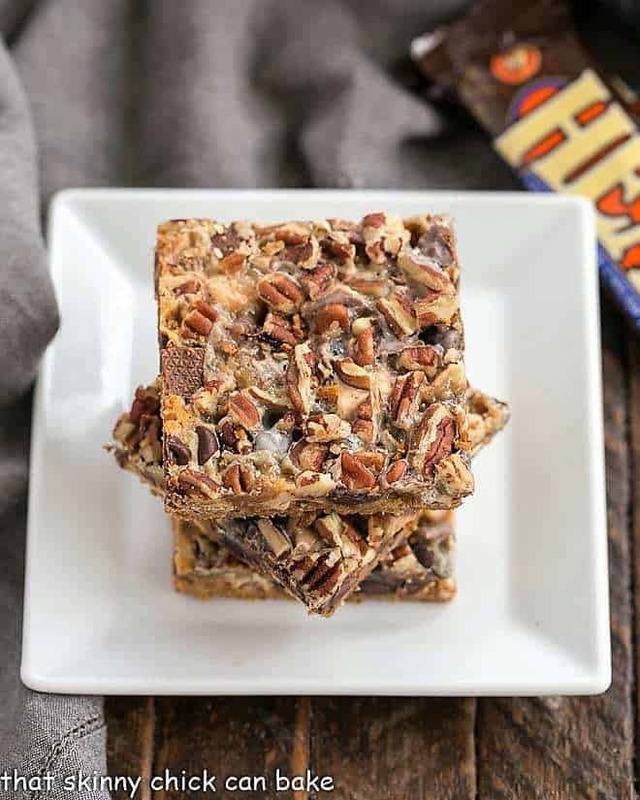 That frosting looks so perfect atop your pumpkin bars! Your pumpkin bars look divine, love that layer of cream cheese frosting! Love these and the cute pumpkins on top, amazing! Very pretty, Liz! Love the white and orange contrast. I like that it is moist! Hi Liz, love these pumpkin bars, cream cheese frosting is the best! They look like absolute perfection! And how cute are those pumpkins on top? I saw these on facebook or instagram and instantly fell in love. Oh my goodness, the frosting looks absolutely perfect! I love this! For me, every week can be a pumpkin week as I am crazy for them! These bars look heavenly with that thick layer of cream cheese frosting, Liz. Wow! I was just reeling over the pumpkin bars and cream cheese frosting which are truly dazzling….And then you mention pumpkin scones….Same time, same Skinny channel, right? Pumpkin week?! Count me in–I’ll feast with my eyes all day, every day! Love this share and can’t wait for the rest of your treats, Liz! I love also your presentation. Yay for pumpkin week! Can’t wait to see everything. These bars look amazing! Love the cream cheese frosting! These bars look amazing! Your pictures are gorgeous. My kids love all things pumpkin, so I know they will love this! Oh my gosh! I love pumpkin bars! I could just devour this! 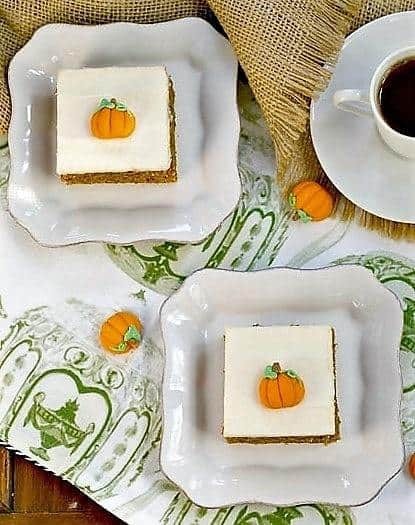 These are such a cute pumpkin bars…I love how you decorated them! Delicious and soft and crumby, I need a bite! I love cream cheese frosting and pumpkin bread, so these are right up my alley. I’ve only made one pumpkin treat so far and I think I’m due for another one. Thank you ma’am! Can’t wait to try this recipe! It looks delicious… thanks for sharing my recipe for the cookies. These are the perfect dessert to get back into all things pumpkin! Love how easy they are to make! This has me in the mood for fall! And that is my favorite season! I love pumpkin bars! Gotta give this recipe a try! You had me at pumpkin and cream cheese frosting! love these! What a pretty cake and a great video perfect fall cake! Liz – they look perfect and sound absolutely delicious. 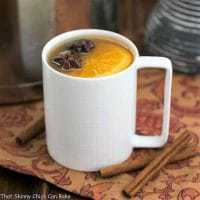 I love that it uses 2 Cups of pumpkin! We love pumpkin anything over here. Thanks for sharing all those yummy pumpkin recipes! Oh the cream cheese frosting made these killer just as you promised!! These bars are so pretty and I’m sure they are just as tasty! I a, looking forward to that first bite! You are right, cream cheese frosting never hurt any dessert and your pumpkin bars decorated so cute have to be great. Ah! It is pumpkin time again. Just had my first pumpkin latte of the season last week. 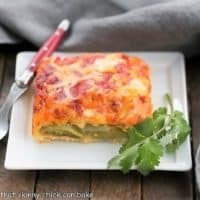 This is such a classic and delicious recipe, Liz! So cute with those little pumpkins on top. Loving those fall spices and the smell when this bakes! I’m relatively new to the world of pumpkin desserts; I hadn’t been using pumpkin in desserts until 5 years ago or so. These bars look and sound delicious, Liz! And that cream cheese icing makes it even better! These bars look fantastic and yummy. Thanks for sharing. This is JUST the kind of seasonal dessert that makes me happy fall is here. These turn out perfect, so delicious! They look perfect, love pumpkin bars, and that frosting! These are perfectly spiced, and I love the pumpkin flavor! That cream cheese frosting is perfect on these bars – love pumpkin bars! So cute! 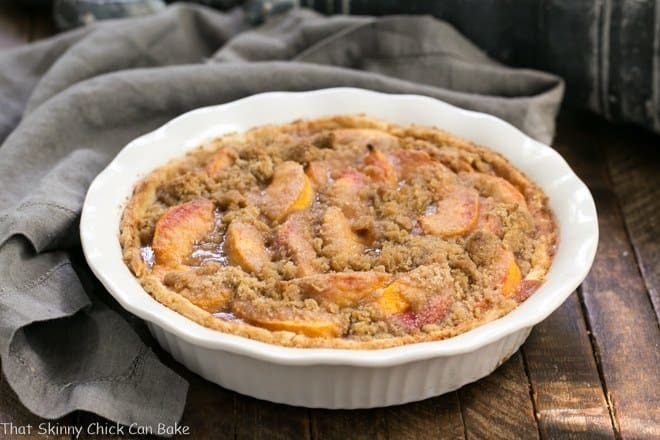 I love fall desserts! Such a great way to celebrate Fall! My family loved it! those bars are calling — no, screaming! — my name! I also have to agree with you that the little offset spatula is one of my most-used kitchen utensils. I use it to butter the toast, to spread peanut butter or mustard on the sandwiches, to smooth the batter in baked goods, to spread icing…it has so many uses! I made these for a party tonight and they are divine! Oh my gosh these are SOOOOO good! You knocked these out of the park, Liz!! I made them cold for a fundraiser, which I never normally do. 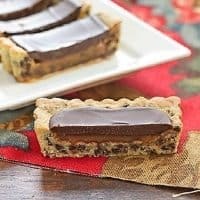 As soon as I cut into them I knew this recipe was a winner! So very moist with beautiful flavor! 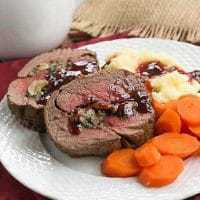 I did not have allspice but used all of the other spices in the recipe. Really delicious— thank you so much! I have to tell you, I’ve made so many pumpkin bars and these are by far the BEST! Hi, I was wondering is the frosting is pipeable? I’ve tried making another recipe for pumpkin bars, and the frosting on that recipe was a little too runny. I’m going to try your recipe for thanksgiving & I wanted to pipe on the icing instead of spreading so that my picky family can either have frosting or easily take it off if they don’t want any. Hi, Tran, It should be pipeable. Feel free to add a bit more powdered sugar to get it to the consistency you want if it’s not thick enough for you. Enjoy!! !